The Family Law Act provides that both parents have equal shared parental responsibility for the care and welfare of their children. There is no automatic rule that children should live with either their mother or their father after separation. If the parents cannot agree as to where the children are to live, then the Family Court has the power to make what are called “Parenting Orders”. 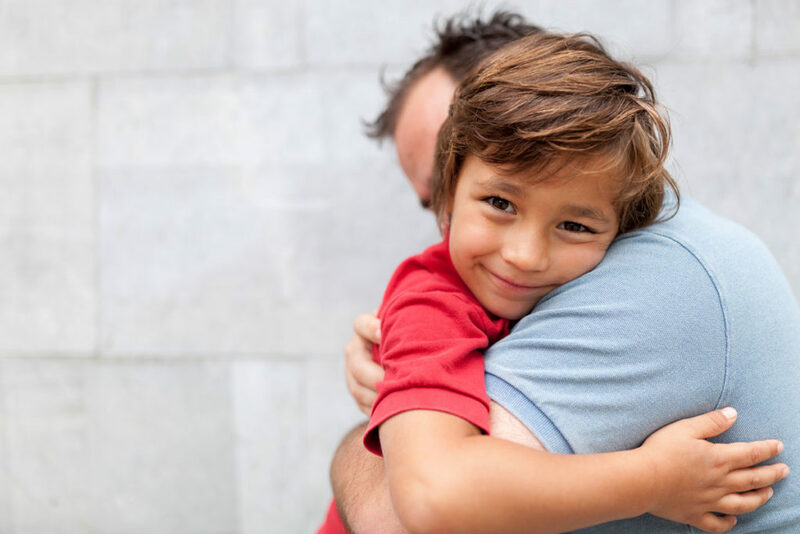 You and your partner do not have to have parenting orders made when you separate – you can agree about all matters concerning the children’s welfare and upbringing – you do not need a Court Order. You can choose to enter into a Parenting Plan which can be adapted in line with your children’s changing needs. In situations where there is a conflict and disagreement between yourself and your partner, then you have the right to ask the Family Court to make parenting orders or your partner and yourself can agree upon various Parenting Orders. In the making of any Parenting Orders, including Orders which prescribe who a child lives with, who a child spends time with, communicates with, the Court must regard the best interests of the child as the paramount consideration. children have a right to enjoy their culture (including the right to enjoy that culture with other people who share that culture. It is against these fundamental principles that the Court will determine the best interests of the child. Since 1 July 2006 , the Family Law Act has been amended to provide that there is a presumption of equal shared parental responsibility. This presumption can only be displaced in limited circumstances including where there are instances of family violence or child abuse. to participate in making decisions about major long-term issues in relation to the child, to spend time with the child, and to communicate with the child. participating in making decisions about major long-term issues in relation to the child, spending time with the child and communicating with the child. has fulfilled, or failed to fulfill, the parent’s obligation to maintain the child. to events that have happened, and circumstances that have existed, since the separation occurred. the impact that an arrangement of that kind would have on the child. In many disputes concerning children some of the above factors are more relevant than others depending upon the particular facts of the case. It is important to always remember that the Court has a wide discretion to make the order that they think is the most proper and that is in the best interests of the child. Parenting Orders are never final, but if you or your partner wish to change the Orders, then you can do so by agreement but if you don’t agree then you must satisfy the Court that a change in circumstances has occurred (since the Parenting Orders were made) that warrants the Court changing the Orders. As Australia becomes a more mobile society there are more incidences of one of the parents of the children wishing to relocate, either within Australia or to a foreign country. A Court cannot prevent a parent from relocating. However, it can prevent the parent who has the care of the children from taking the children with them. Unless there are exceptional circumstances the parent who intends to relocate with the children should notify the other parent prior to doing so. If the other parent consents to the relocation, arrangements for contact with the children will need to be negotiated or determined by the Court. If negotiations are successful then it is preferable any agreement be properly documented. If the other parent does not agree then it may be necessary for the parent wishing to relocate to make an Application to Court. The Court will then make a decision based upon the welfare or best interests of the children. If there is a Court Order relating to parenting issues including who the child lives with and the time a child spends with other people, it is likely that the parent who the child lives with would not be permitted to relocate without the consent of the other parent, otherwise they may be in breach of the Order. The parent who the child lives with would need to make an Application to the Court to seek to vary the Order to allow them to relocate. Even if there is no Court Order it would be prudent for the parent wishing to relocate with the children to seek the consent of the other parent before doing so and, if that parent does not give their consent, make an Application to the Court for an Order which would allow them to do so. A Court cannot determine the issues in a way which separates the issue of relocation from that of who the child will live with and the best interests of the children. When considering the best interests of the children the Court will take into account such things as the right of the parent who the child lives with to move on with their life, form new relationships and have freedom of movement and the need to ensure the continuation of the relationship with the parent that the child spends time with and travel costs involved should the parent who the child lives with be permitted to relocate with the children. The distance of the proposed relocation is a significant factor. The Court is very unlikely to restrain a parent who wishes to move from Brisbane to the Gold Coast. However, a parent who wishes to relocate the children to another country would have much more difficulty persuading the Court it is in the children’s best interests to do so, given the likely result is that the other parent would have much less frequent contact with the children. In cases such as these, the parent wishing to relocate would need to put forward good reasons to the Court why it would be in the children’s best interests to leave Australia to reside overseas and what arrangements they propose to be put in place to ensure the other parent has regular and meaningful contact with the children. The parent seeking to relocate with the children or a parent who wishes to prevent the other parent from relocating should seek legal advice from us at an early stage. An Independent Children’s Lawyer is a Solicitor appointed by the Family Court to represent your children in the dispute before the Court. The Independent Children’s Lawyer is always an experienced Family Law Practitioner who has practiced in the area of Family Law for many years and has had extensive experience with disputes concerning children before the Family Court. The Court does not automatically appoint an Independent Children’s Lawyer in each and every dispute concerning children. The Court will usually only appoint an Independent Children’s Lawyer upon Application by one of the parties and usually where one or more of the following circumstances exists. Serious mental health issues exist in relation to one or both of the parents or children; There are difficult and complex issues involved in the matter. The Independent Children’s Lawyer is usually employed by the Legal Aid Office ( Victoria ) and is usually paid by the Legal Aid Office. However, if you and your partner are of a sound-financial position then you may be ordered to meet the costs for the Independent Children’s Lawyer. Usually the Independent Children’s Lawyer will not interview the children regularly at length. If there are concerns about the children’s wishes or any other family dynamics, the Independent Children’s Lawyer may employ independent experts including Social Workers and Psychiatrists to provide reports and to give evidence to the Court. If you have a Solicitor then your Solicitor will usually deal directly with the Independent Children’s Lawyer.